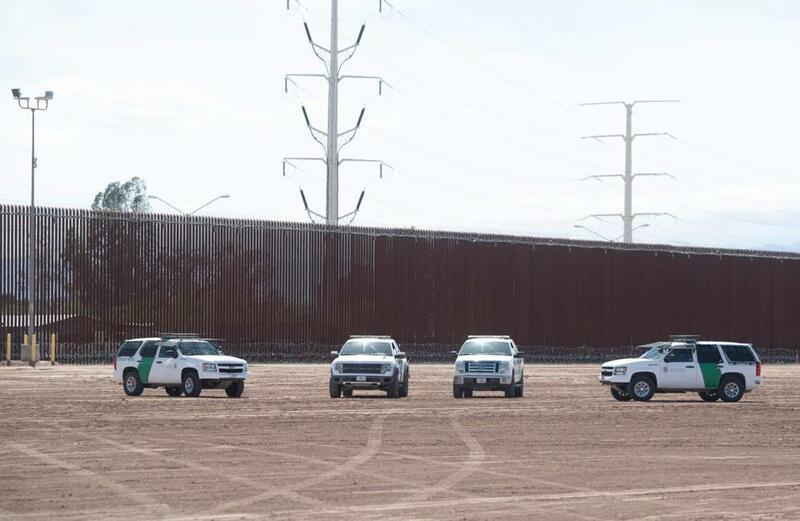 US Customs and Border Patrol cars were seen near the border wall between the United States and Mexico in Calexico, California. SAN FRANCISCO — A US judge on Monday blocked the Trump administration’s policy of returning asylum seekers to Mexico as they wait for an immigration court to hear their cases but the order won’t immediately go into effect. The launch of the policy in January in San Diego at the nation’s busiest border crossing marked an unprecedented change to the US asylum system, government officials and asylum experts said. Families seeking asylum typically had been released in the US with notices to appear in court. Seeborg appeared skeptical of the lawsuit’s argument that the administration misapplied a US law that allows the return of immigrants to Mexico. The ACLU and other groups that are suing say that law does not apply to asylum seekers who cross the border illegally or arrive at a border crossing without proper documents.